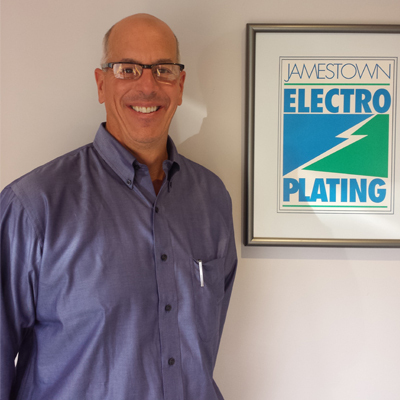 John R, Churchill, also known as Jay, has been the owner of Jamestown Electro Plating since 1984. 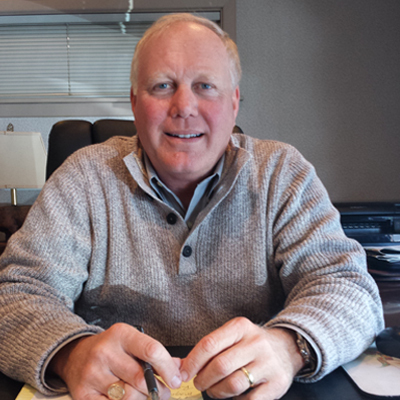 Jay has a Business degree from Roanoke College and past President of the Manufacturer’s Association of Jamestown Area. Jay is responsible for finance, strategic planning, and key personnel. Jay is an Airplane pilot and a classic muscle car collector. Lois is the Office Manager at JEP. 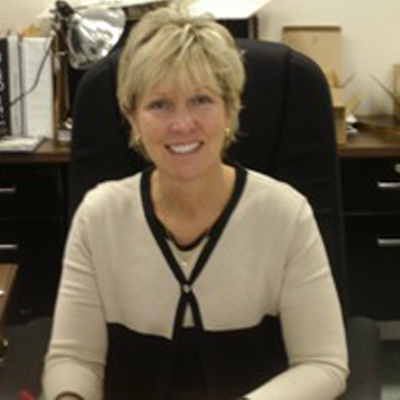 She handles all invoicing and accounts receivable functions as well as accounts payable and payroll processing. A Jamestown native, Chase graduated in 2005 from Roanoke College in Salem, VA with a degree in business administration and officially joined JEP in June of 2009. Chase is a classic automobile enthusiast and enjoys hunting, fishing, hiking, skiing and many other outdoor activities. Originally from southern Ohio, now resides with his wife in western New York. While new to the plating industry, has extensive experience in Quality Management, particularly in achieving and maintaining certification to national and international standards. Focused on developing positive relationships with customers, based on commitment to customer satisfaction. 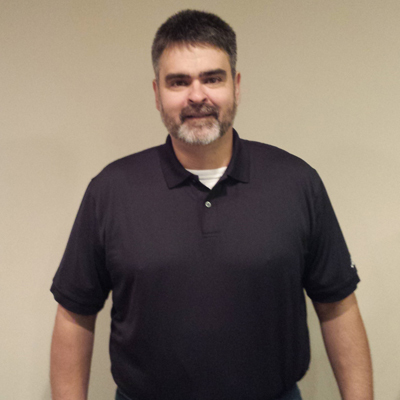 Mark has 20 plus years’ experience in manufacturing production and plating and a B.S. in Business Administration from SUNY Brockport. 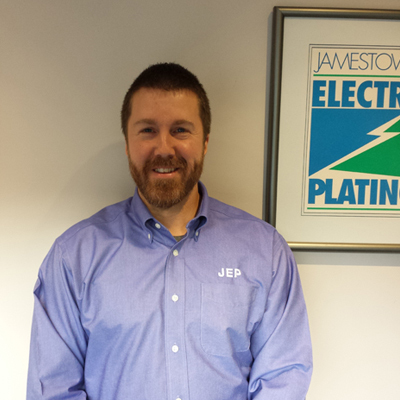 Mark joined the JEP team in May of 2002. He is married and a father of three and lives in the Youngsville, Pa located in the beautiful Brokenstraw Valley. When he is not working, he enjoys hunting, fishing and spending time with his family. 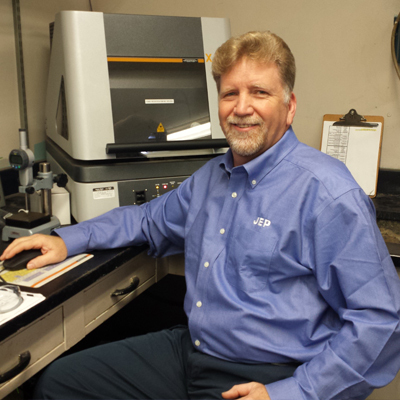 Aerospace Manager has 20 plus years in metal finishing, specifically electroplating. Prior experience includes managing sectors in the Aerospace Bearings,Turbine Airfoils and Metal Fabrication industries. Served in USMC. 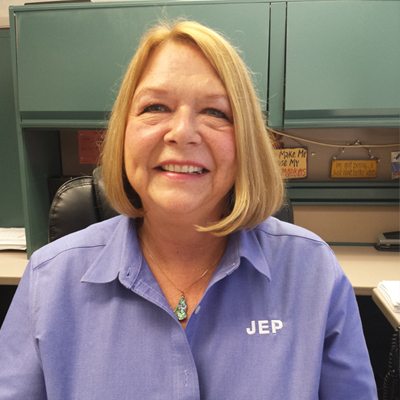 Employed at JEP since 1982, Aerospace and plating operator. Maintenance Manager since 1989. CEF certified in November 2000. Mechanical engineering knowledge of JEP and Safety Manager. All around good guy. 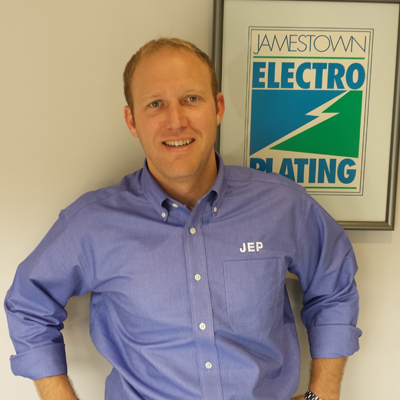 Mike Gray operated as Jamestown Electro Plating’s Environmental Chemist since 2004. 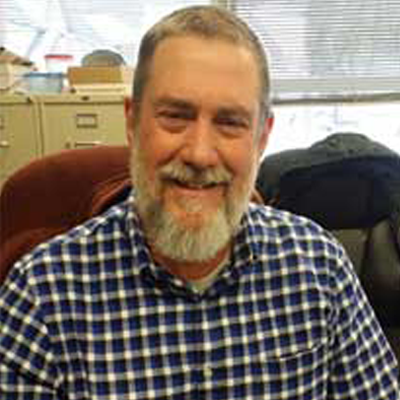 Promoted to Chief Chemist in 2015, Mike is responsible for the testing, maintenance, analysis, and improvement of the plating process chemistry. Drew Grabigel possesses 3 years of chemistry and environmental regulatory experience in the electroplating industry and a B.S. in Environmental science from Gannon University. 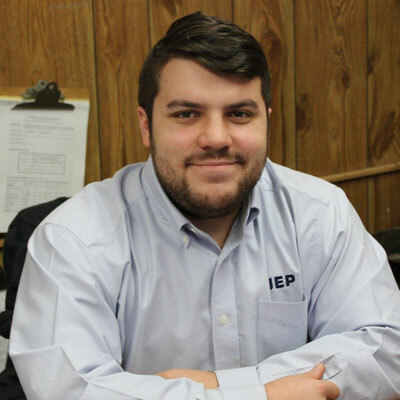 As the Environmental Chemist for Jamestown Electro Plating since 2017, Drew is responsible for all environmental activities including waste water treatment, regulatory compliance, hazardous waste management and training. Drew has also been functioning as the company’s ISO 14001 Environmental Management System representative.